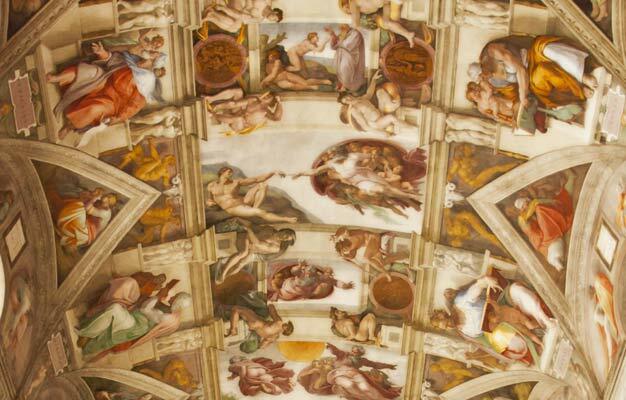 Our Best of Rome & Vatican Tour is an extended 4.5-hour journey through the streets of Ancient Rome. Explore the Colosseum and the Roman Forum and experience the splendor of the Vatican. We begin with Rome's greatest engineering accomplishment; the Colosseum. Wander across the arena floor and hear about the life and times of Romans in a brutal age, defined by bloody and violent games which took place just yards away from where you'll be standing. We then leave the arena behind and walk up ancient Via Sacra into the Roman Forum. 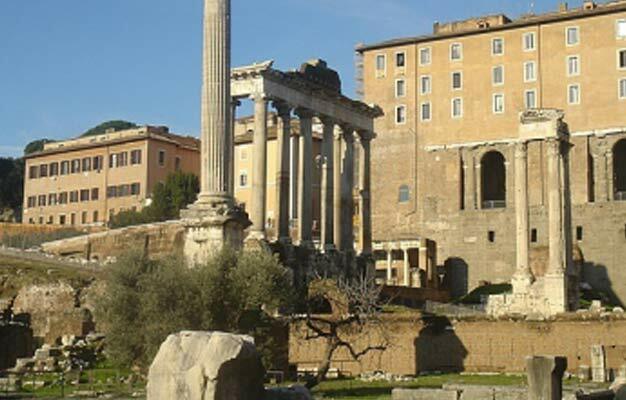 Hear about the main basilicas, temples, and ruins in the forum area, and consider the role and influence of Gaius Julius Caesar in ancient Rome. The first part of the tour finishes at approximately 11:15 AM, after which you can stroll around at your leisure until you have to be at the When in Rome Tour's office for the Vatican tour at 12:45 PM during the summer season from April 1st to November 3rd, or 14:45 PM during the winter season from November 4th to March 31st. In the afternoon we visit the famous Vatican, formally known as the Vatican Museums, and see all the major galleries including the Belvedere Courtyard, Pio-Clementine Museum, Room of the Muses, Round Room, Greek Cross Room, Gallery of Tapestries, Gallery of Maps, and Raphael Rooms, before the tour culminates with a visit inside the breathtaking Sistine Chapel. The tour ends at St. Peter's Square after you have had the chance to learn about the history of the Vatican City State. Soon after you have completed your booking your e-ticket will be sent directly to your email. Please print it out and bring it on your tour. The tour starts on Foro Traiano 89. The address will be on your e-ticket. Please arrive 30 minutes before the tour starts. How do I get from Colosseum to the Vatican? The cost of a taxi to our office from the city center is between 8-10 euros and journey time is 15 minutes, or you can take the 492 bus from Largo Argentina to the corner of Viale Vaticano, which is close to the When in Rome Tour's office. Journey time by bus is 30 minutes. Does the tour involve walking? This tour involves a fair amount of walking, including hills and stairs. Comfortable shoes are recommended. Yes, entrance into the Vatican requires that you follow a strict dress code. Knees and shoulders must be covered for both men and women. When in Rome Tours and Ticmate cannot be held responsible for refused entry due to improper dress. Yes, children's tickets are available for children under 18 years old. - You will skip all official lines, which can be very long, up to several hours. However, on certain days like bank holidays, weekends, and religious holidays there might be some lines. This cannot be avoided, but these lines will be far shorter than the public ones. - For security reasons, backpacks, rucksacks, large handbags, luggage etc. are banned inside the Colosseum, Roman Forum, and Palatine Hill. The tour departs at 10.45 AM.